We are here to develop the soccer youth into strong athletes mentally and physically. Boosting speed, agility strength and confidence. 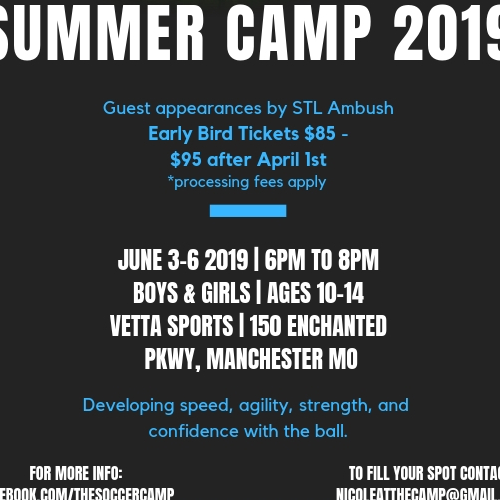 This is not just a skills camp we will make your player faster and stronger with the ball.